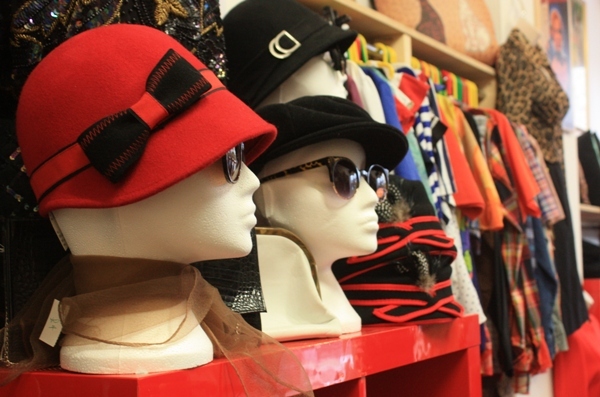 Eyes up for vintage fashion at Starfire Vintage Retro. 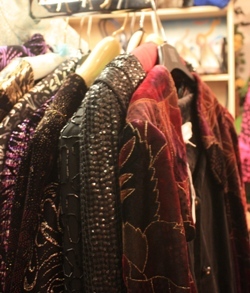 Situated right on the sea front, Stuff ‘s main virtue is its huge amount of choice and range, stocking an eclectic array of pieces ranging from psychedelic prints, 50’s style blouses and Sari skirts, through to tweed coats, biker jackets and cable knit jumpers. This is definitely a good spot for the young and student-y looking for some scruffily stylish pieces. Best for a bargain! 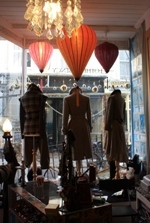 With an extensive section of vintage Tee’s and accessories for £2. Have a good root around for some gems. There’s something of a whimsical fancy-dress feel to this shop, with a quaint lingerie cabinet housing gloves, scarves, and undervests. Xanadu has an impressive collection of all things fur. Head downstairs for some on-trend tartan skirts, good frocks and embellished and sequined numbers. This is also a good shout for the discerning gent, with a smart selection of men’s wear. Best for the suave and glamorous, with some quality pieces for those looking for that statement item. Wardrobe stocks a shifting capsule collection of items, arranged by colour palate. This is the place for those drawn to bold and beautiful colours and fabrics. If you’re looking for “the dress” for a big do, the Wardrobe is definitely a good place to try, with a selection of unusual and striking dresses for making grand entrances and standing out from crowds. Best for label lovers- there are some big names to be found in this little shop, expect some very vintage Channel, Emporio Armani and Ghost. Just on the fringes of the town centre, this shop should be a hit with those into rockabilly and all things Americana, stocking cut-off denim shorts, hillbilly shirts, leather and letterman jackets. For those less keen on American apparel, there’s a good supply of chunky knitwear too. Best for looking forward to spring. Starfire has an extensive collection of quirky sunglasses, little denim shorts and skirts for those looking longingly towards warmer weather.